We are dedicated to promoting quality in the breeding of purebred Braque du Bourbonnais and to do all that is possible to bring their natural qualities to perfection. Nothing is more important to us than the welfare and perpetuation of these remarkable companions. Our Braque du Bourbonnais excel in water, nose, search, desire and drive. They are extremely cooperative and train very easily, even for the first time dog handler. Their desire to please is only outdone by their desire to find birds. We produce puppies that have strong natural ability both in the field and the water combined with wonderful dispositions. 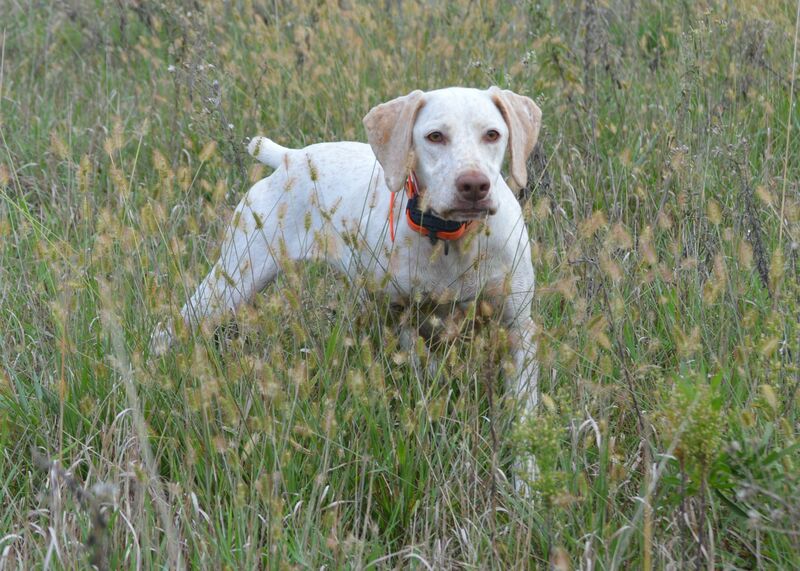 This breed is complete, with unbelievable upland and waterfowl hunting ability, along with being a calm, affectionate family/house companion. We are not a puppy mill, nor do we sell to brokers or pet shops. Our puppies are raised with lots of love IN our non-smoking home and are only placed in loving, appropriate homes. 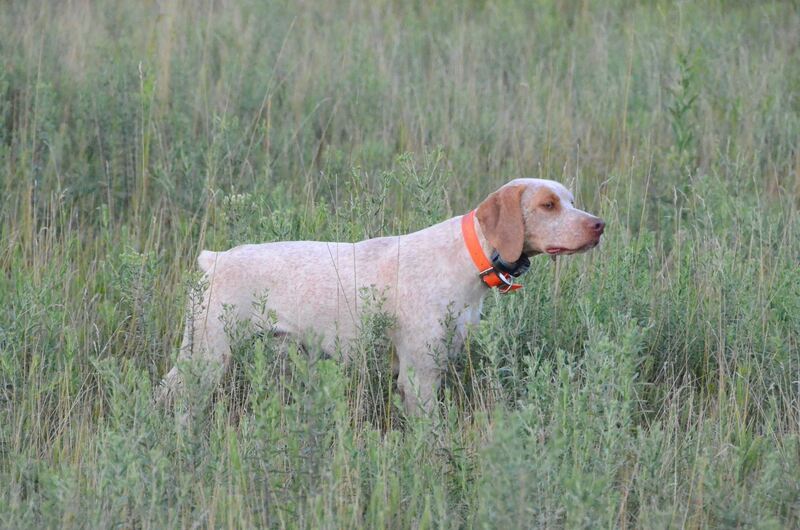 We utilize the "Breeding Restriction" registration offered by NAVHDA. Rufnit Kennels is licensed with the State of Nebraska. We typically raise two or three litters a year. We raise our puppies for the love of this breed, so others may experience the enjoyment this breed has to offer. Rufnit Kennels assumes a lifetime responsibility for the canine lives we have put on this earth. We require the dog/pup be returned to Rufnit Kennels should a situation arise and a dog/puppy need to be relocated. 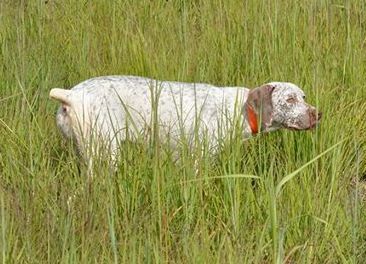 NAVHDA (North American Versatile Hunting Dog Association) is the foundation registry and field testing organization for the Braque du Bourbonnais in North America. Our Braque du Bourbonnais are tested/trialed/shown through NAVHDA, AKC/FSS and UKC. Testing and showing our companions provides information about their hunting and physical abilities, as well as their mental stability. They have been proven to have excellent health, temperament and genetics. Our philosophy is simple...if you only breed healthy dogs, you only have healthy puppies. Only top quality sires and dams are added to our breeding program. They are a minimum of two years of age and proven to be outstanding family and field companions. We are extremely conscientious with our breeding program and the litters we produce. Great dogs do not happen by accident and neither do our breeding's. Each litter is planned and genetically calculated in advance for the improvement of the breed and our breeding program. To keep our Dam's and Litter's healthy, we choose NOT to breed with EVERY heat cycle. We DNA Certified our Sire's and Dam's. Our goal is to minimize any inherent health issues and to provide their permanent homes with an outstanding family and field companion. We are very proud of the Braque du Bourbonnais that we produce. 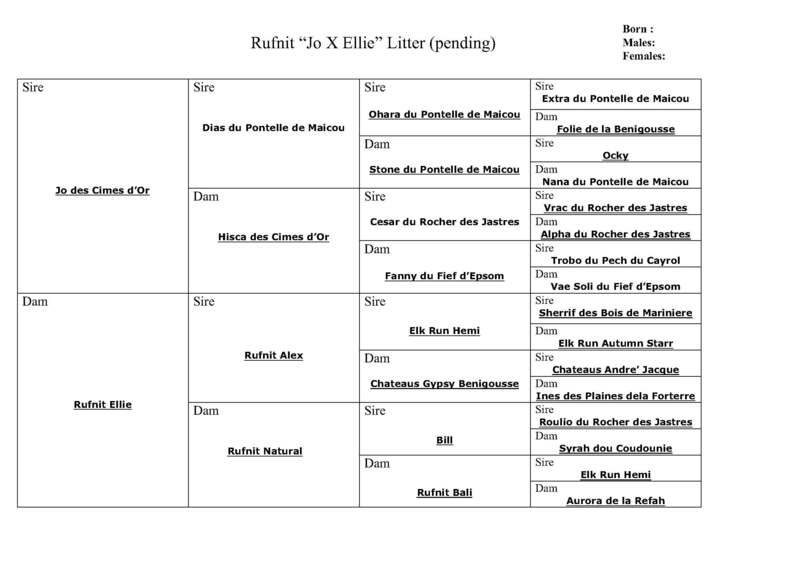 When you purchase a companion from Rufnit Kennels Braque du Bourbonnais, you may rest assured that you are getting the best quality puppy/dog available. Rufnit Kennels has produced the youngest Braque du Bourbonnais to receive "Prizes" in Natural Ability through NAVHDA at five months of age (proving true Natural Ability), the Utility Preparatory Test at eleven months of age and the Utility Test at nineteen months of age. As for North American bred Braque du Bourbonnais', Rufnit Kennels' progenies notably dominate the NAVHDA Prize I NA's (~80%), with numerous progeny holding NA Prize II and NA Prize III positions! Our puppies/dogs receive the maximum veterinary care. Puppies receive three de-worming's, their first vaccinations and an ID microchip. We feed Purina ProPlan Performance to all of our companions. 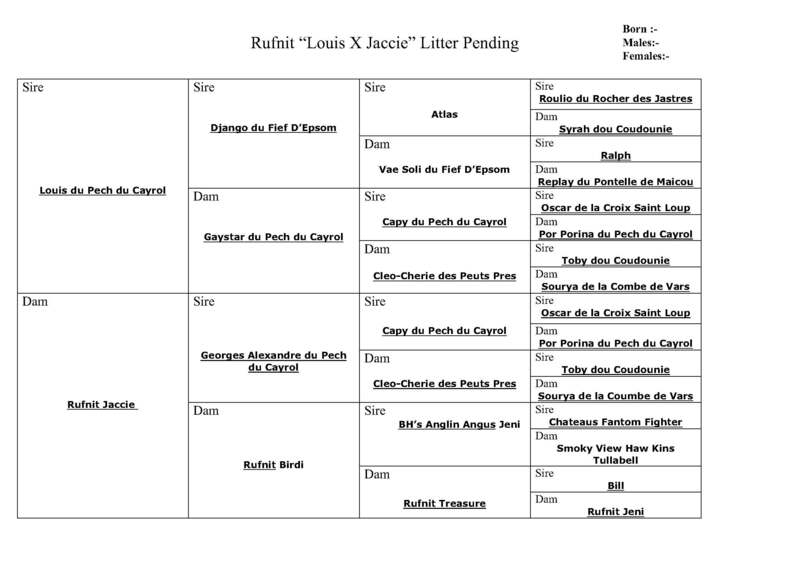 Rufnit Kennels reserves the right to adjust and/or reschedule our pending breeding's. Please take a look around our site at our beautiful companions and feel free to send us an e-mail(RufnitKennels@AOL.com) or phone us (402/423-0995) if you have any questions or comments. As the above information indicates, our breeding practices are proving to be superior. ALL of our breeding's are matched up for the production of OUTSTANDING companions, in and out of the field. We are providing progeny with a solid foundation that each owner can develop into their personal companion. 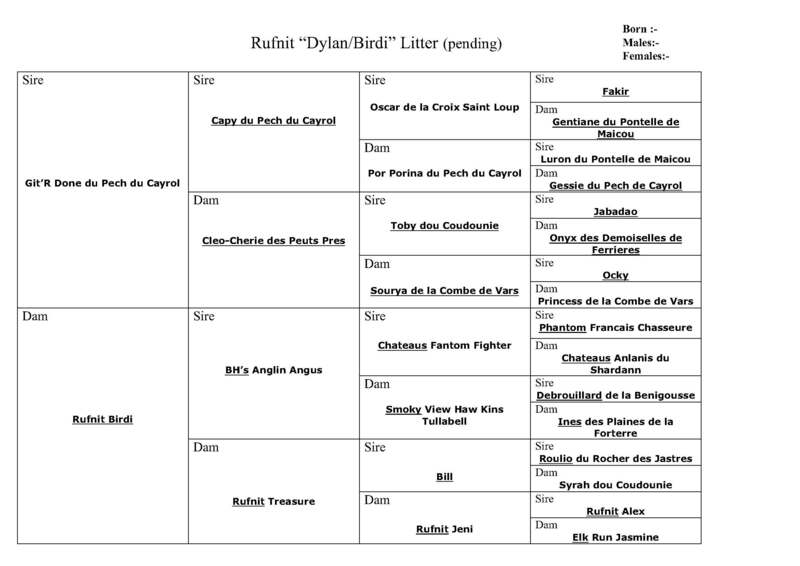 thirty-five (35) were owned and/or bred by Rufnit Kennels (45%). Our puppies currently sell for $1,250 US. In addition to the "docked tailed" pups, we produce pups with "naturally short tails" and pups that are "tailless." The selling amount includes the $250 US non-refundable reservation/deposit. Rufnit Kennels offers a one time NAVHDA Natural Ability entry fee reimbursement (up to $100 US) for "Rufnit Companions" that receive NAVHDA Natural Ability Prizes (NA Prize I, NA Prize II or NA Prize III). Buyer is responsible for transportation charges and any applicable taxes. Rufnit Kennels will collect Nebraska sales tax (7%) for companions picked up at our location. Due to our reputation, dedication and proven breeding success, Rufnit Kennels maintains a companion waiting list. 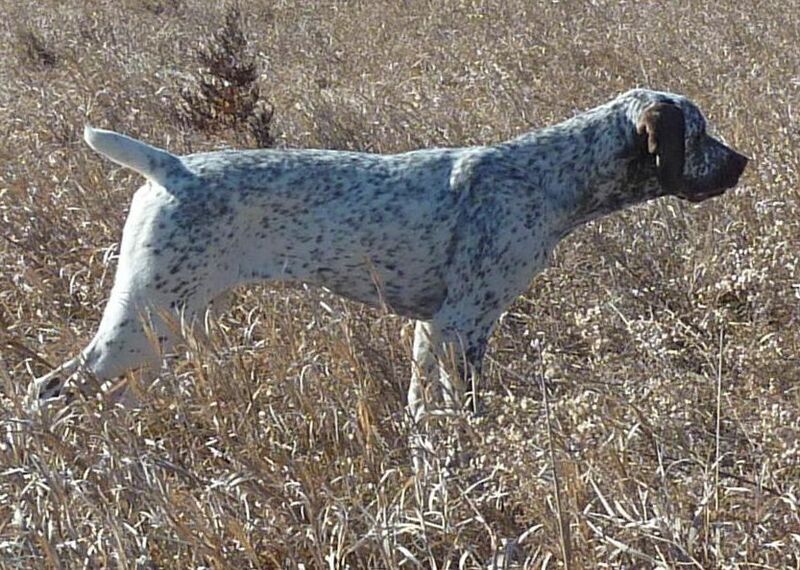 There are many reputable breeders of fine upland hunting dogs throughout North America. Unfortunately in this business like so many others, the buyer needs to be aware. Make sure that the puppy comes from a line of dogs that have good health credentials. 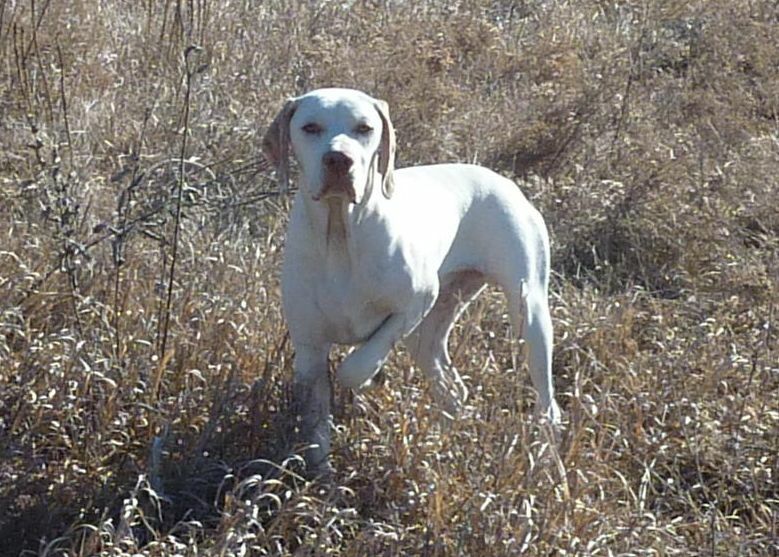 There should be a good history in the pedigree of dogs that perform in the field (field trials, hunt tests, etc.). As a rule, avoid "backyard breeders." Leave the art and science of breeding to the breeders experienced with the breed and have produced proven progeny. Take the time to make contacts and see if there are any consistent problems reported about the particular breeder you have selected. 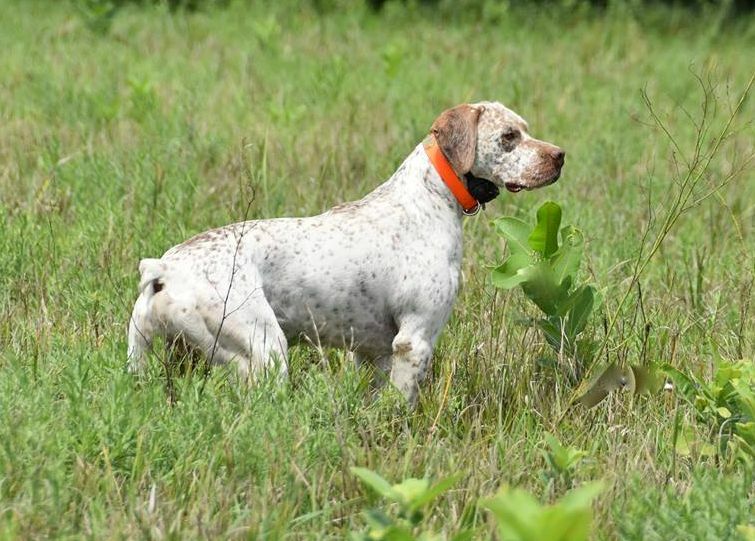 NAVHDA (North American Versatile Hunting Dog Association) is the foundation registry and testing organization for the Braque du Bourbonnais in North America.